With all the pleasant weather, I have been spending a lot of time outside, mostly knitting. My shrug is finally starting to look like something. I want to finish it by the end of the month. Knitting sock yarn on US6 needles is bothering me. I think it is because it isn’t tidy at all. My brain says sock yarn means tidy stitches. You just can’t do that on big needles. I’m planning a sock yarn pullover on US3’s. Maybe my brain will be happier with that. 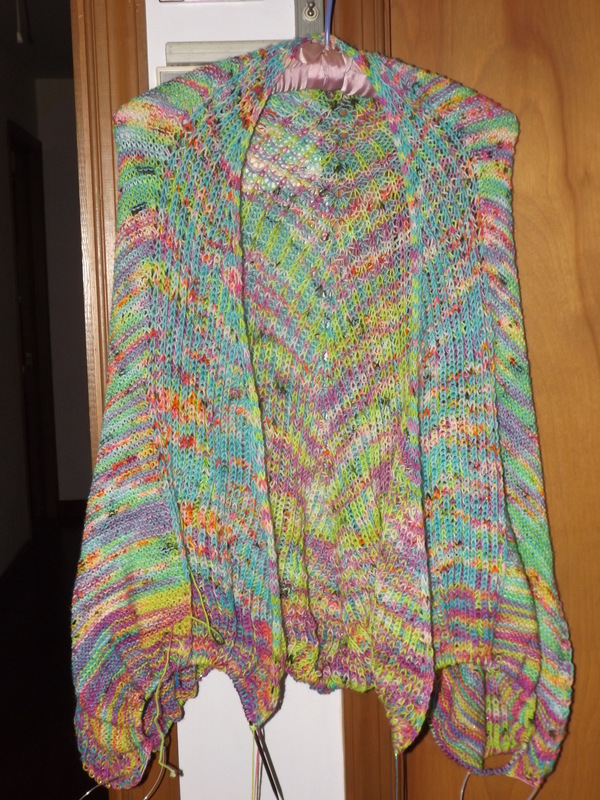 This entry was posted on April 14, 2019 at 5:23 pm and is filed under Knitting. You can follow any responses to this entry through the RSS 2.0 feed. You can leave a response, or trackback from your own site.